I have been trumpeting a cautious tone for most of 2018 with concerns about the stock market and whether or not the bull market would continue. I have laid out a number of indicators that support my cautious stance—the jump in the yield on 10-year treasuries, consumer confidence being too high, investor sentiment being too optimistic, etc. If you haven’t figured it out yet, I view the market and other investments with a contrarian view. When the masses are euphoric, I am cautious. When the masses are panicking, I am more optimistic. Humphrey Neill is one of the most noted contrarians and the author of the book The Art of Contrary Thinking. In the book Neill states, “The public is often right during the trends, but wrong at both ends.” I couldn’t agree more. The funny thing about being a contrarian investor is that you can’t be contrary just for the sake of being contrary. Being bearish on a stock that is moving higher and has lots of bullish sentiment toward it can cost you a lot of money. The same can be said for being bullish on a stock that is moving lower and has lots of bearish sentiment toward it. To me the key to finding great stocks boils down to three basic factors. The stock should be in an uptrend, but may have seen some recent selling. The company should have good fundamentals and the sentiment should be somewhat pessimistic. The same thing can be said of the market as a whole. It also works for commodities, bonds, etc. If the trend is higher, the fundamentals are solid, and there is pessimism or doubt about the investment—that is usually a winning combination. Dalio didn’t go on record as being bearish or calling a market top, but rather he suggested investors should have a mixed strategic asset allocation. It isn’t just individual hedge fund managers that are making cautious comments either. 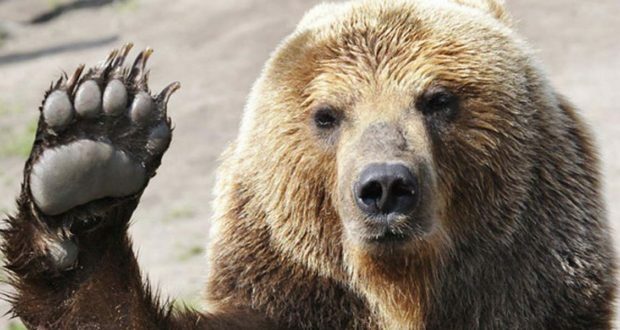 Goldman Sachs issued a statement on Wednesday that its bear market indicator hit a reading of 73%. The indicator takes a number of factors into account including inflation, unemployment rate, the yield curve, and manufacturing data. The reading is the highest reading since the late ‘60s. The company issued the following statement with regard to the high reading. “It is a good signal to investors to turn cautious, or at the very least recognize that a correction followed by a rally is more likely to be followed by a bear market ….” —Goldman Sachs. Believe it or not, I find all of these cautious statements and warnings somewhat comforting, with one caveat. If investors are heeding the advice of these professionals and making adjustments to their portfolio, that will help the market in the long run. The more people are prepared for a downturn, the less painful the downturn will be. If everyone maintains the same stock allocations and doesn’t heed to warnings, the bear market will be longer and the losses will be greater. When you think about it, if investors are changing their allocations now, they will be holding fewer stocks during a downturn and thus the selloff won’t perpetuate. If there are fewer sellers, the downward pressure won’t be as great and the bear market won’t take as long to play out. Conversely, if investors remain bullish and maintain the same stock allocations that they have been holding for the last few years, the bear market will last longer and will take stocks and indices lower and lower. The market won’t turn around until there is a capitulation point where investors throw in the towel on stocks. I sincerely hope investors are paying attention to my warnings and the warnings from the far more noted investors like Steve Cohen and Ray Dalio. I hope they are listening to the warning from Goldman Sachs. The more investors are prepared, the better off the market will be.